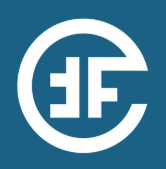 FortFC is airdropping 180 FFct tokens to their followers. Complete the following steps to receive your tokens. 1. Register your email at the FortFC site here. 3. Complete all social media tasks on their dashboard to receive your tokens. 4. Once completed, you will receive 180 FFCT tokens. Additional tokens can be earned through their referral program.